In the United States, it is illegal for a prison guard to hit a death row inmate, it is illegal for a military sergeant to hit a private and it is illegal for a man to hit his wife. But, it is legal for an adult to hit a child. 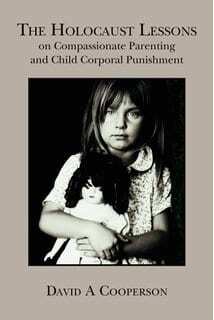 In all 50 states, the use of physical punishments on children is legal in the home. In 21 of them, it is still legal to use physical punishment in schools. Children, it seems, are the exception to the rule when it comes to physical assault. A recent study on spanking by researchers at the University of Michigan and the University of Texas quantified the data of over 50 years of research and 160,000 participants. Its findings indicate that not only is spanking a poor form of discipline when it comes to teaching children, but that it is linked to aggression, anxiety and depression. It has also been shown that children who are physically punished exhibit less empathy than those who are not. Based on this research and so much more available, it is easy to conclude that physical discipline of children does much more harm than good. So, with all of this data available, why is corporal punishment still legal in our homes and schools? Sometimes, it’s as simple as many parents raising their children the same way they were raised. Many others cite religious reasons and paraphrase part of Proverbs 13:24 saying, “Spare the rod, spoil the child,” a line that has been used to indoctrinate members of many religious groups which insist there is a need to inflict pain as a way of instilling obedience and in some cases, drive evil spirits and demons away. This type of thinking is so ingrained in the American mindset that the US Congress has rejected several bills to end physical punishment in the schools where it is legal. It is currently ignoring HR Bill 2268 which would do the same. In my practice, I have seen the damage such a mindset can create. That is why part of the mission of Freedom of Mind is to advocate for the basic human rights of all individuals regardless of age. I’ve also had the pleasure of joining the Board of Advisors of the non-profit, Child Friendly Faith Project, in speaking out against this type of abuse, along with the withholding of medical treatment for religious reasons and pedophilia. It’s time for children worldwide to be treated with the respect they deserve. By educating parents and teachers on the harm of corporal punishment and showing them loving alternatives, we can potentially build a better future for generations to come.